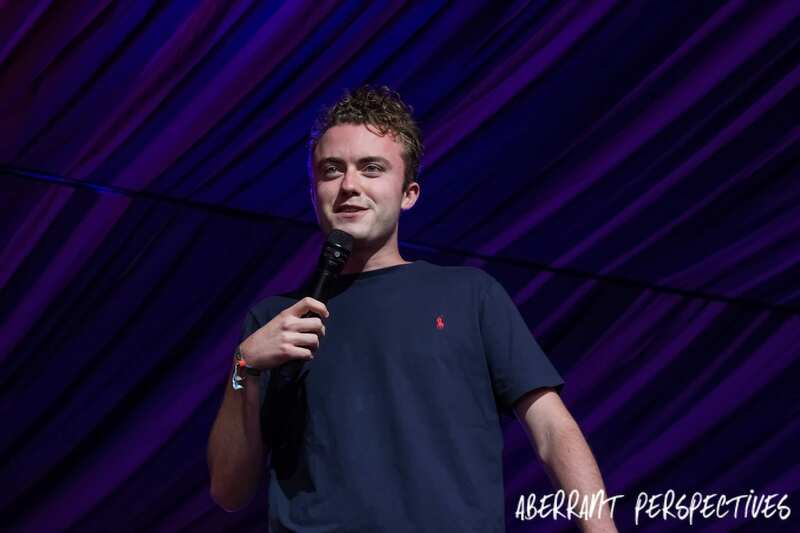 At just 20 years old Tom Lucy performed at Latitude festival’s packed out comedy tent. 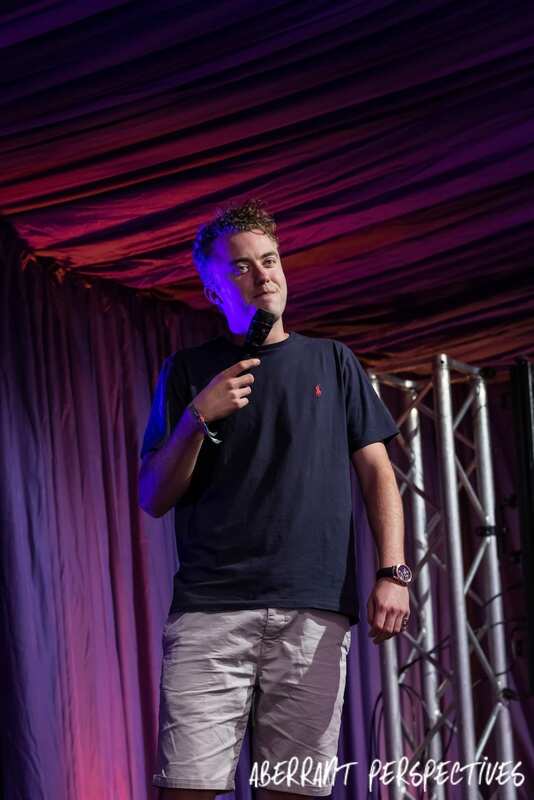 Notably one of the youngest comedians to perform one the weekend. Tom started making his way to success as a circuit favourite from the age of 16, since then he’s gone from strength to strength. Working hard to secure a huge list of performances that any comedian starting out could only dream of. 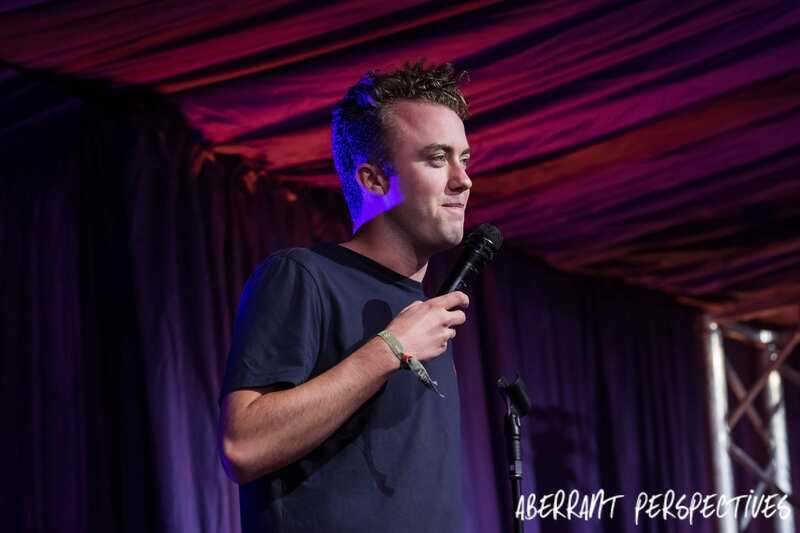 Tom is not only the youngest comedian to be signed to Off the Kerb, he has also had a string of success behind him. 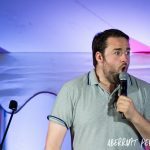 In 2017 he supported Jack Whitehall, Kevin Bridges and Michael McIntyre on their tours. In 2016 he supported Rob Beckett, Romesh Ranganathan, Jason Manford, John Bishop and Shappi Khorsandi on their tours. 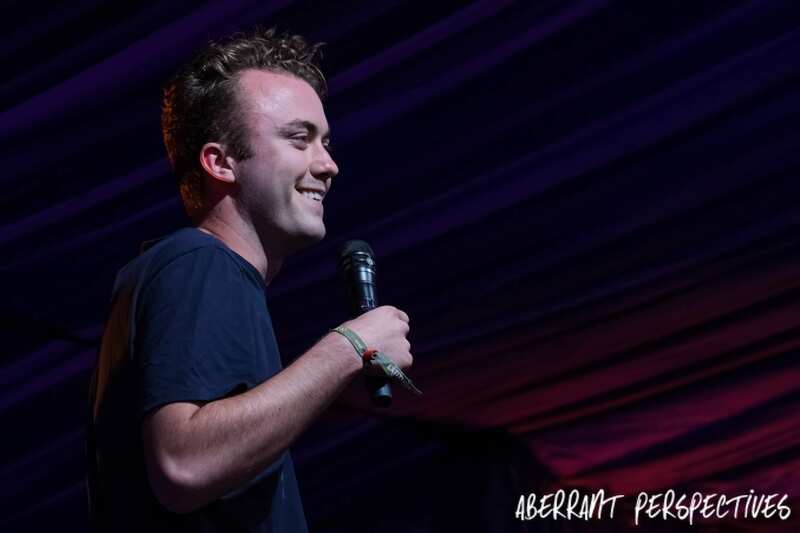 As well as travelling the country with top comedians, additionally in 2016 Tom was the youngest ever winner of the Leicester Mercury Comedian of the Year award. He’s a talented young comedian. Funny, charming and a perhaps a little camp. However as he explained to the audience throughout his set, he is aware of how he sounds and looks, but they are not to be fooled by this. He tells a wonderful anecdote about how he had to have a “coming in” conversation with his parents. Much to his dad disappointment as it meant he lost a bet with his uncle. The audience were drawn into his stories and loved at every moment of his performance. 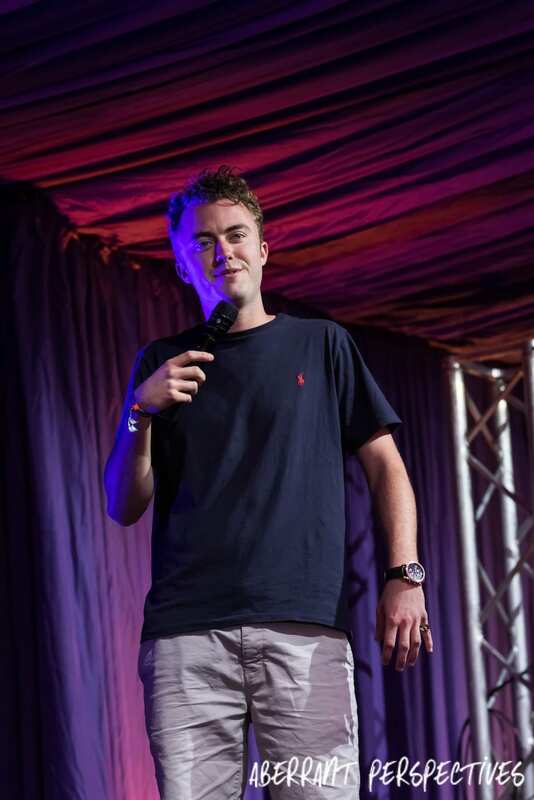 Despite his age and almost shy composure on stage, it’s safe to say that despite Tom is a more than competent comedian. Delivering his performance in a charming manner coupled with his sharp wit, audiences love him. For this reason recognition from his senior comedy peers is of high support and opportunities deservedly are becoming more available to him. 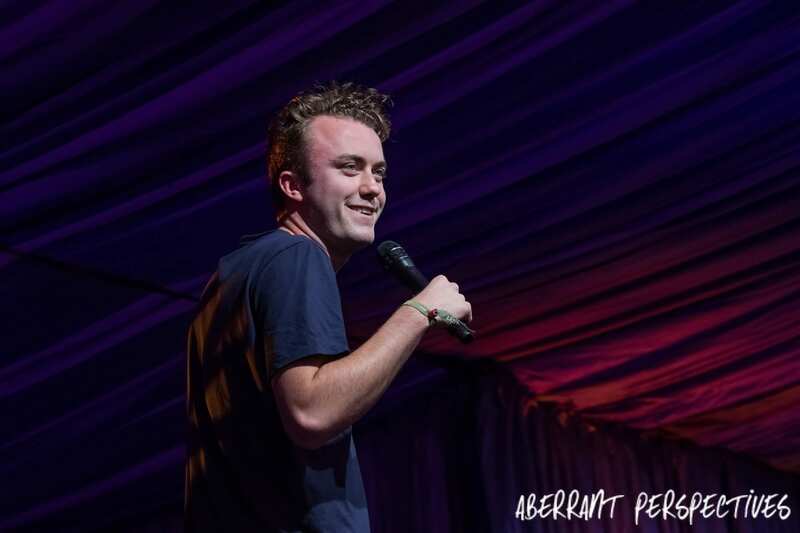 Tom Lucy is definitely one to watch. Tom has a new show out at the moment called “Tom Lucy needs to stop showing off to his friends”. It will be at the Pleasance Courtyard daily during the whole of Edinburgh Fringe. More information and tickets available here.